Overseas Vietnamese in Berlin, Germany have donated 128,211 EUR after two weeks from the launch of the “For the beloved central region” campaign. The money will be delivered to people in the four provinces of Nghe An, Ha Tinh, Quang Binh and Quang Tri. The Toan Cau Company in Berlin pledged to give six scholarships worth 50,000 EUR in total to students in the central region to learn nursing in Germany. 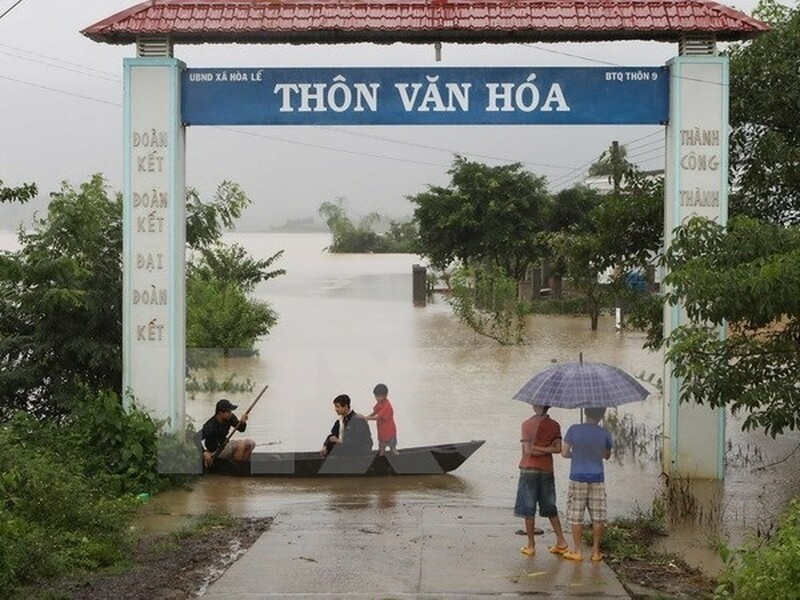 Until now, Vietnamese organisations, businesses and people in Germany have donated around 300,000 EUR to help people in the central region overcome consequences of heavy flooding. The Vietnamese Embassy and the Association of Vietnamese in Mozambique on November 3 launched an event calling for donations for flood victims. At the event, Ambassador Nguyen Van Trung called on all embassy staff and the Vietnamese community in Mozambique to provide support for people who are suffering from serious consequences of floods. The fund-raising will last until the end of November and all the collected money will be transferred to the State Commission on Overseas Vietnamese to support those in need. Meanwhile, Vietnam’s Embassy and the Vietnamese Association in Cambodia on November 4 also organised an event to mobilise funds for people in the central region.